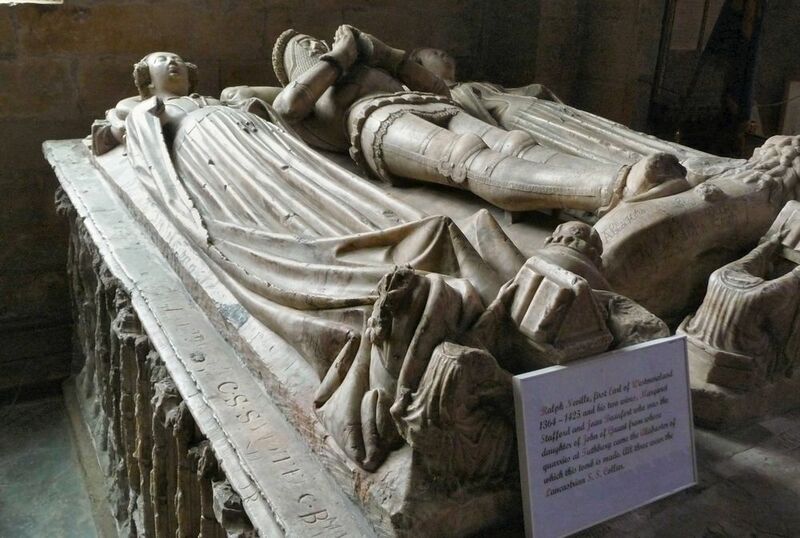 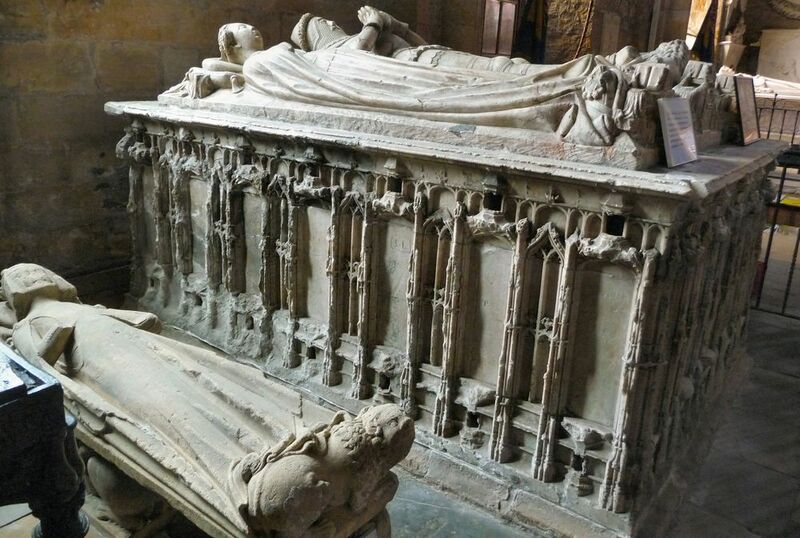 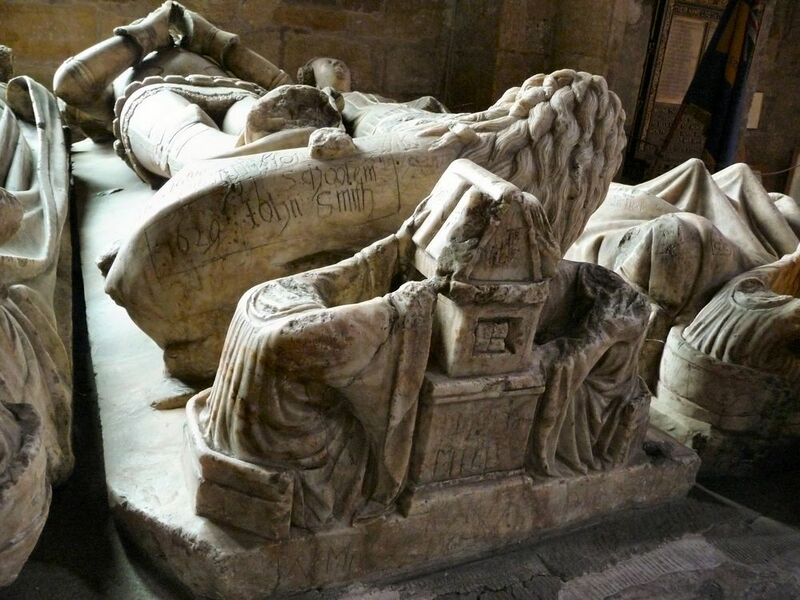 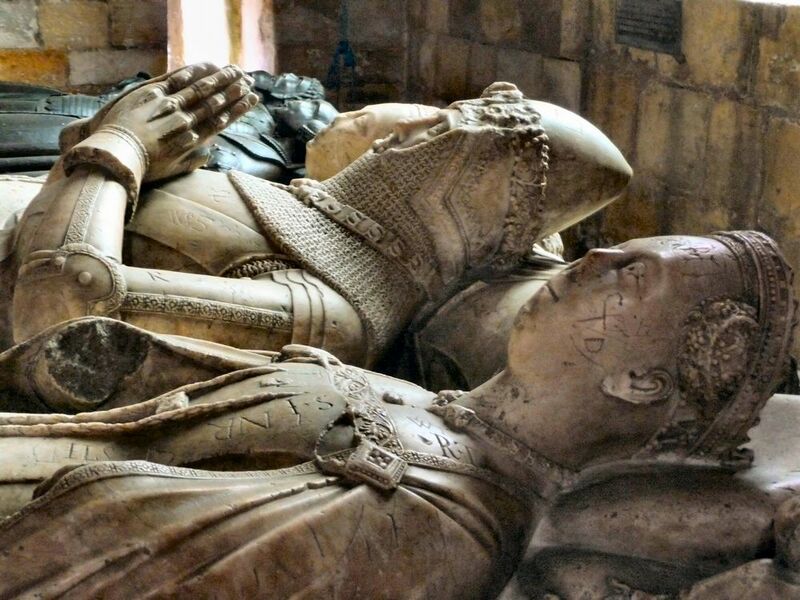 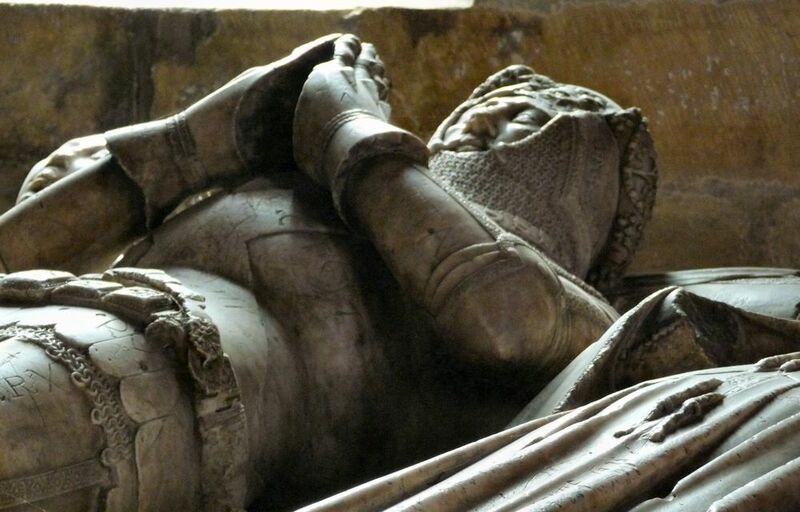 "Ralph Neville, first Earl of Westmoreland 1364 - 1425 and his two wives,Margaret Stafford and Joan Beaufort who was the daughter of John of Gaunt from whose quarries at Tuthbury came the Alabaster of which this tomb is made. 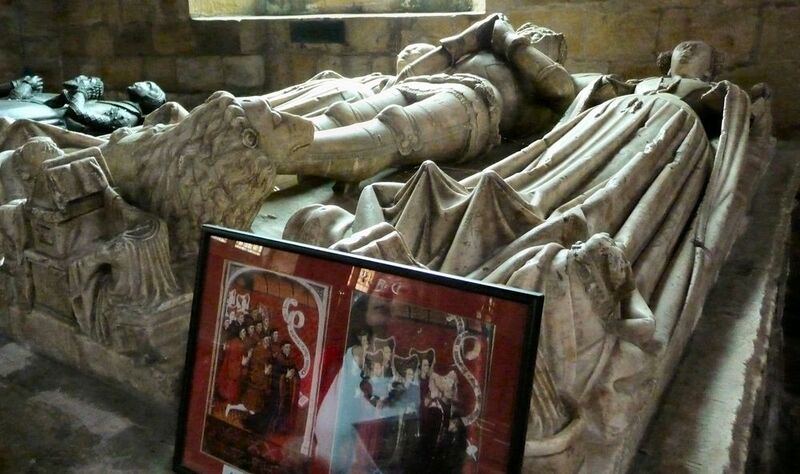 All three wear the Lancastrian S.S. 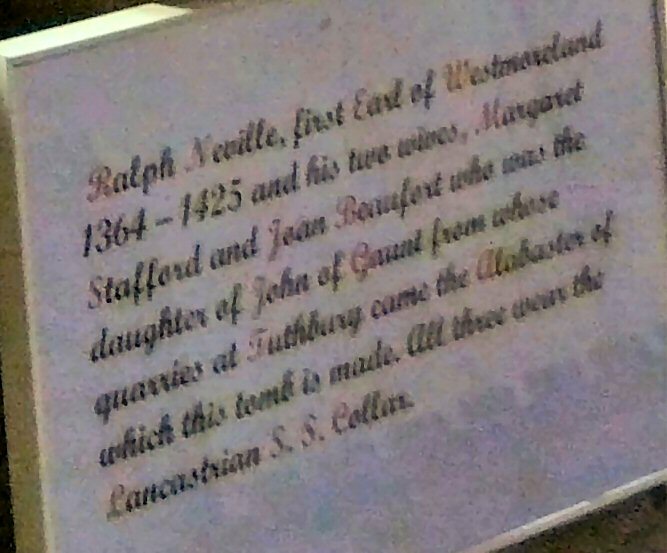 collar."